A tote bag celebrating a groundbreaking book of revolutionary queer theory. Price: £7 / $10. 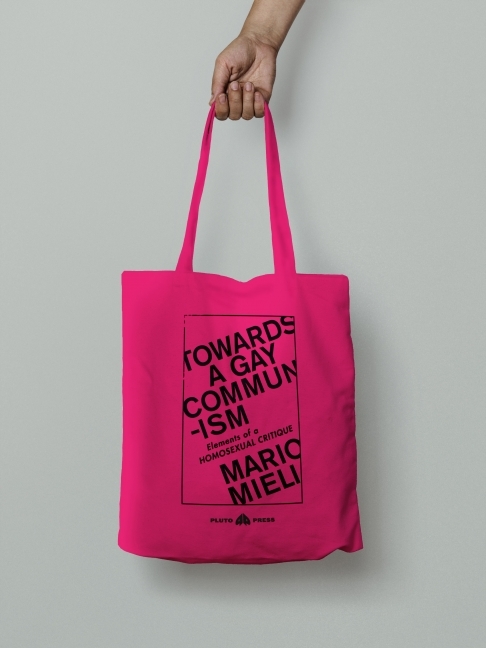 A hot pink design based on the cover of Mario Mieli's outrageous and groundbreaking book Towards a Gay Communism: Elements of a Homosexual Critique. A limited edition tote bag, with black print on hot pink cotton.